How does your support make a difference? As one of the largest non-profit organizations in the state, we are dedicated to serving everyone – regardless of age, income or background. 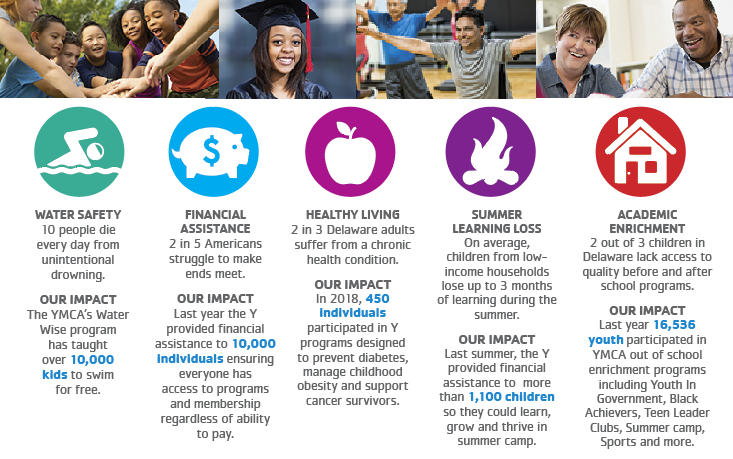 With support from our generous donors, we work every day to help ensure that people from all walks of life can enjoy the Y, especially those who would not be able to experience what we offer without financial support. Together, we have the power to transform lives! Make a pledge today and help change someone’s life. Your gift to an Endowment Fund helps to preserve the YMCA for future generations. Get started today.